Tickets here. We recently got some represses of Casual’s Fear Itself on vinyl. Scoop here. The Detox of the Underground, Casual & Jake One Album…coming soon. Casual just posted a snippet of a song called, “I Wonder”. 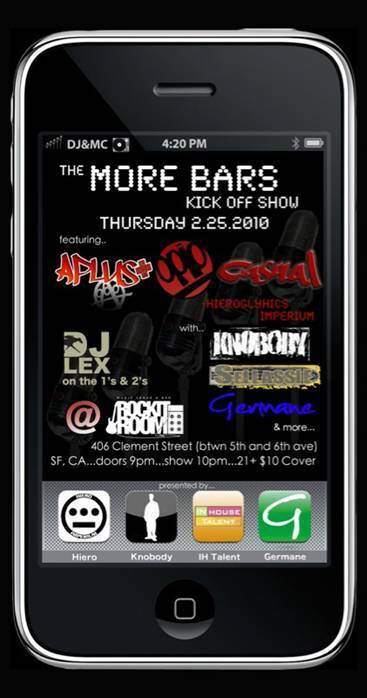 The Second Annual More Bars in More Places Tour kicks off at The Rockit Room in San Francisco with a strong line up of thought-provoking Hip Hop artists of substance. 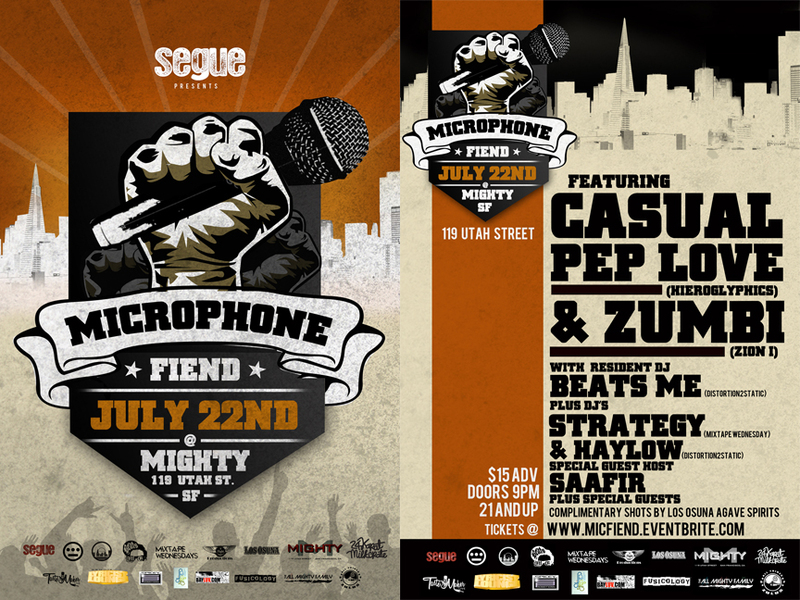 Headlined by Hieroglyphics artists, Casual, Opio, A-plus and Knobody, alongside Germane, Sellassie, and DJ Lex, as they promise to bring authentic hip hop with a commitment to quality music and a live show! 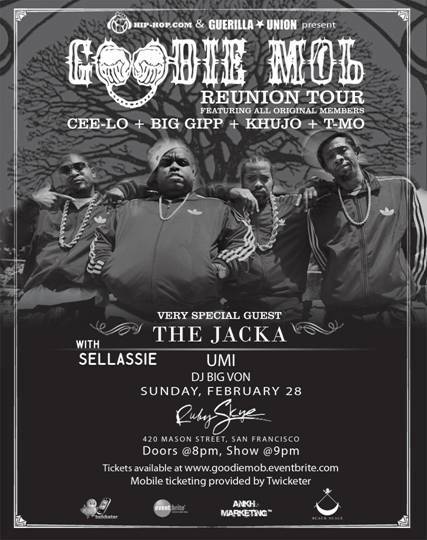 SELLASSIE to support THE GOODIE MOB REUNION and THE JACKA! He’s also giving you some free songs here.